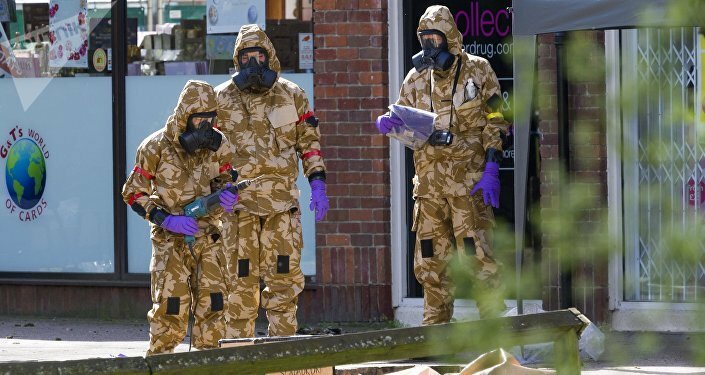 MOSCOW (Sputnik) - Two victims of an alleged poisoning incident in the Wiltshire area near the UK city of Salisbury remain in critical condition after suspected exposure to an unknown substance, Deputy Chief Constable Paul Mills of Wiltshire police said on Wednesday. "The woman, aged 44, and the man, aged 45, who are both local to the Wiltshire area and are British nationals, are currently receiving treatment for suspected exposure to an unknown substance at Salisbury District Hospital. They remain in a critical condition. It was initially believed that the two patients fell ill after possibly using drugs from a contaminated batch. However, further testing is now ongoing to establish the substance which led to these patients becoming ill," Mills said in a statement. At this stage, it is not yet clear if a crime has been committed, Mills noted. There is no significant health risk to the wider public as a result of the incident, Mills added, citing Public Health England experts. No one else was receiving treatment, except for the two victims of the alleged poisoning, the deputy chief constable pointed out. Earlier in the day, the police said there had been a major incident in the area involving the possible exposure of two people to an unknown substance after a man and woman were found unconscious on Saturday.